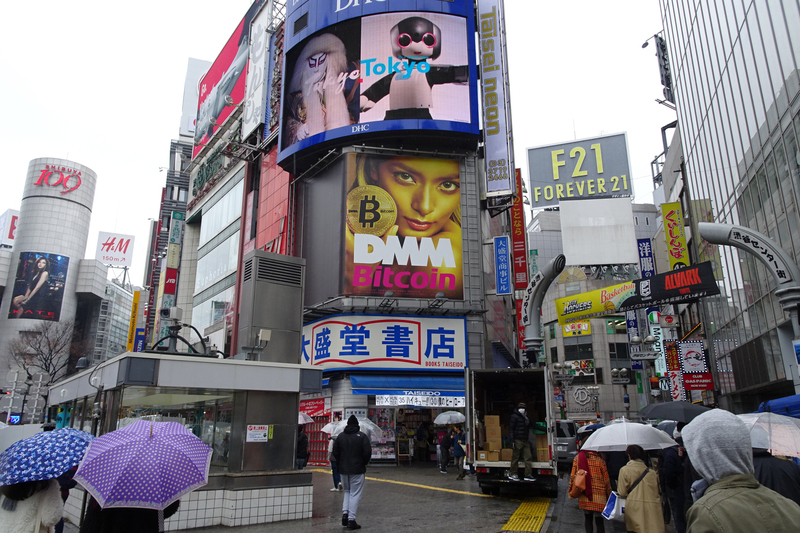 If a massive billboard by Shibuya crossing is a barometer of trends in Japan, then the latest ad for the cryptocurrency exchange DMM Bitcoin, featuring a Japanese celebrity coated in gold, may be a sign of how cryptocurrencies have taken center stage in both the advertising media and the broader national conversation in Japan. “When I was in London I would see ads all over Facebook, but never on TV or in the streets like this,” said a 20-year-old British tourist as he stood under the billboard last week. While consumers have been inundated with such advertisements over the past few months, the exchanges are now facing more pushback on how they promote trading services of ultravolatile virtual currencies. Facebook recently banned cryptocurrency-related ads and one Japanese industry group has suggested self-regulation in light of the Coincheck Inc. hacking incident. 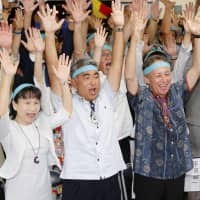 “Japanese exchanges are the most active in the world. 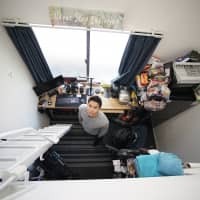 Not only is this the result of tight regulations in China and South Korea, it is also because you can use leverage to make investments,” said Kenji Harashima, a senior researcher specializing in financial technologies for the Mizuho Research Institute. “In 2017, with increasing cryptocurrency asset prices, more people gained an interest in buying, and exchanges began a stronger push in the Japanese media market,” he added. DMM, bitFlyer and Coincheck—the exchange that lost ¥58 billion worth of NEM coins — have all advertised on web platforms such as YouTube, Facebook and Instagram. These same exchanges have also aired TV commercials. According to CM Soken Consulting, a commercial researcher operated by Tokyo Kikaku Co., the presence of TV commercials by cryptocurrency exchanges has significantly increased in the past year. 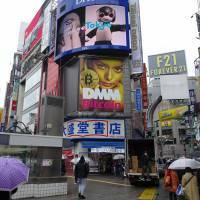 BitFlyer, the country’s largest exchange, was the first to run a TV commercial in April. Coincheck and DMM followed suit in December and January. 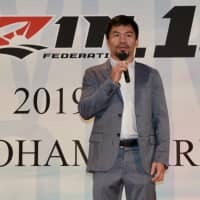 Between Dec. 20 to Jan. 19, TV ads by Coincheck and bitFlyer were aired 819 times in the Kanto region, comparable to major firms such as Toyota Motor Corp., NTT Docomo Inc. and McDonald’s Japan, CM Soken Consulting said. However, cryptocurrency ad campaigns have been the target of criticism after the Coincheck hack. Facebook surprised the world last week with its announcement that it would ban all cryptocurrency-related ads. “This policy is intentionally broad while we work to better detect deceptive and misleading advertising practices, and enforcement will begin to ramp up across our platforms including Facebook, Audience Network, and Instagram,” the company’s statement read. 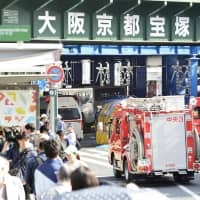 “It is unclear whether the Facebook ban is permanent or temporary,” said Ena Banno, a spokesperson at bitFlyer, which has run ads on the social media network, in an email. Moving forward, the company intends to use social media advertising based on the overall market situation, Banno wrote. With the spread of virtual currencies, concerns over potential fraud have also been growing. Between 2014 and 2017, consumer claims regarding cryptocurrencies increased to 1,954 cases from 194, according to the National Consumer Affairs Center. The Japan Cryptocurrency Business Association — a Tokyo-based exchange industry group of which Coincheck is a member — also requested its members last week to advertise responsibly. The group made 11 requests including addressing risks of trading cryptocurrencies and refraining from promoting specific kinds of virtual currency, such as bitcoins. “While we recommend that some organizations rethink their advertising strategies, it is difficult for exchanges to make sudden changes as they may be unable to cancel long-term agreements they have already made,” said a spokesman for the association. It is unclear whether the cryptocurrency industry will face tighter ad regulations, but some investors have been straightforward about their skepticism of the recent advertising campaigns. “The thing that makes me the most angry is that they spent money on commercials that should have been spent on their systems,” said CEO Yoshitaka Kitao of SBI Holdings, who took the opportunity to criticize the spending behavior of Coincheck Inc.
Coincheck executives have admitted that they might have put more priority on attracting customers with ads rather than enhancing security. The company kept more than 5 million NEM coins in a so-called hot wallet, which is exposed to the internet and thus vulnerable to hackers. A safer practice is to store the coins offline. The exchange explained that it was planning to move the assets offline but did not have enough manpower to do the job. Cryptocurrency exchanges act as an intermediary, allowing customers to exchange between crypto and fiat currencies. As of April of last year, bitcoin exchanges were mandated by law to register their businesses and undergo an approval process with the government. However, during the approval period, businesses are allowed to operate and advertise, as was the case for Coincheck.